At one time, this was the city's most political and social area. It was for the elite in entertainment, where there were parties, and conflicts were resolved. 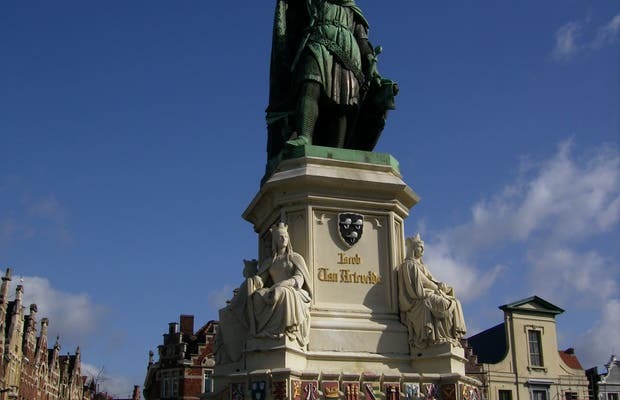 Since 1863, the statue of Artevelde James, who became a Ghent hero after managed to resolve the embargo on the importation of English wool to the Belgium, has been located in the centre of the square. Thanks to his performance, the problems hampering the textile industry were resolved, which had a big swing. When the people later found out that Edward III of England was not fulfilling its promises, riots broke out again, and Altevelde was killed.